Restore your skin to its' former glory with REN CLEAN SKINCARE's Bio Retinoid Anti-Ageing Concentrate. With 100% nature derived Vitamin A, Pro-Vitamin A and Retinoid Analogue, this potent serum works to minimise wrinkles, combat blemishes and banish age spots, resulting in firmer, brighter and younger-looking skin. Best used before bed, you'll wake each morning to a soft, supple, radiant-looking complexion that's ready to face the day ahead. 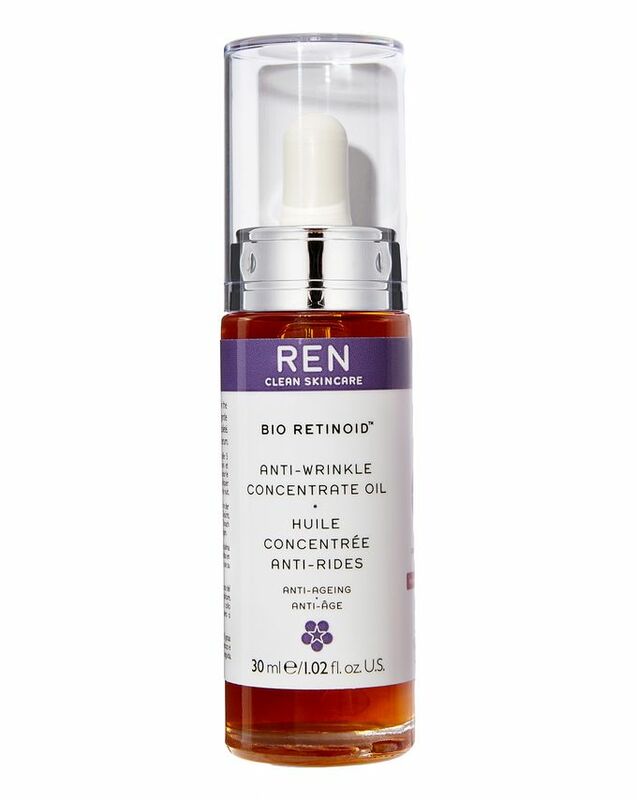 REN CLEAN SKINCARE's golden Bio Retinoid Anti-Ageing Concentrate is a blend of potent biological extracts, specially selected for their skin rejuvenating properties. Anti-agers Vitamin A, Pro-Vitamin A & Retinoid Analogue help stimulate collagen production, to improve skin texture & reduce the depth of fine lines, while Tocopherol (from Vitamin E) helps fight free radicals & protect skin from oxidative damage. Omegas 3 & 6 work to repair skin & promote healthy cell renewal for a smoother, younger complexion. Warm 4 - 5 drops in the palm of your hand and pat gently over face and neck, each evening before bed. So far I absolutely love Ren products. Have the cleanser and day cream for sensitive skin, and this retinoid serum. I've been using it for about a month now and I like the way it smells and feels on my skin. Using all these products together, my skin tone and appearance has definitely improved. I'm giving it just 4 stars simply because I don't know yet if it works on fine lines, maybe I need to wait a bit longer. I'm just about to buy another bottle of this gorgeous product because I'm running out, and can't imagine not having it as part of my evening routine. I use it 3x a week, and always wake up with my skin feeling and looking incredibly soft + smooth. I have quite sensitive skin and find this so soothing, and great in all seasons. I know some other reviewers aren't mad about the smell, but I love it. Might take some getting used to at first, but as everyone says, it's worth it. Amazing amazing amazing product. Leaves my skin super soft and glowing the next morning, especially when I apply it on after I’ve had a warm shower !! Love it. This doesn't irritate my sensitive skin and my skin feels plump and hydrated in the morning. I love it together with the REN bio retinoid cream. I had very little success when I tried other "Retin-oils". 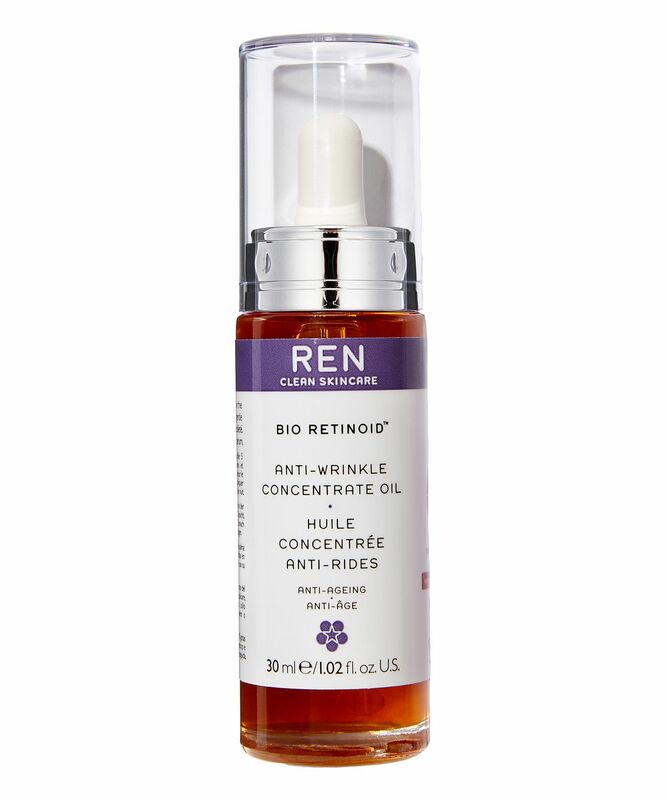 But then I read the lovely Sali Hughes talk positively about Ren Retinoid and it's similar effectiveness. So I tried it and I absolutely love it! My skin feels calm and nourished in the morning. Ren makes some of my very favourite products and they do it as such a good price point. I love this product, but find the smell a bit strong. My skin feels really soft and smooth each morning though, so I put up with the smell! I started using this and at first it was fine. The smell was nice, it smoothed out my skin but also congested it and clogged my pores causing more breakouts. So I did it every other day and got the same results. My dermatologist told me to stay away from oils as this can happen. So it may just be it wasn't suited for my skin. Really sad as I have almost a whole bottle of it left not being used. Great product. My skin feels lovely after using this! I alternate with a lactic and another retinol product in the evenings, and I always look forward to using this one. It's a rich, soothing oil which really plumps the skin and smooths fine lines. Another awesome product from Ren. I bought it because the support team recommended it to my type of skin. The smell is strong but the skin looks more soft, radiant and younger so I don't mind about the smell. I apply every night and with my foundation. It's amazing.